Honor has unveiled GPU Turbo, a new graphics processing technology arriving with the Honor Play smartphone. GPU Turbo is said to increase processing efficiency and reduce power consumption when playing games. It will launch with the Honor Play before making its way to other Honor devices via updates. 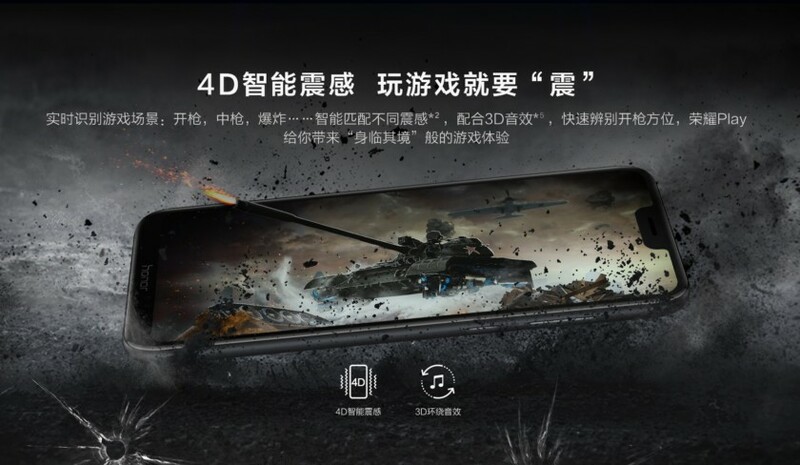 Honor has announced GPU Turbo, a new technology said to improve smartphone graphics processing efficiency. The solution was unveiled earlier today alongside the new Honor Play and Honor 9i (via GizmoChina), though it’s exclusive to the former device for now. The idea is that smartphones equipped with GPU Turbo can play games without running down the battery as they normally would, as well as see performance improvements, and potentially better graphics. According to GizmoChina, GPU Turbo can increase graphics processing efficiency by as much as 60 percent and reduce SoC power consumption by 30 percent. Like battery life estimates, these numbers may have been exaggerated, and shouldn’t be taken as fact. GPU Turbo is also said to offer HDR gaming and better frame rates than competing smartphones; it will benefit graphically-intensive games first and foremost. GPU “boosters” are fairly common in the PC market, and you see them on Android too. But outside of hardware overclocking, they’re generally regarded as snake oil. GizmoChina says GPU Turbo relies on “hardware-software integrated GPU acceleration,” which implies it’s not purely software based. Nevertheless, the brand told Android Authority it will be coming to the Honor 10, Honor View 10, Honor 9 Lite, Honor 7X, Honor 8 Pro and Honor 9. It also added that users around the world will be getting the feature. While that might sound like good news for owners of those devices, it also suggests it may not be as effective as a dedicated hardware solution might be. See also: Asus ROG Phone is yet another gaming smartphone, but is it a gimmick? We’re lacking English-language materials on the new tech but we’ve reached to see if we can get any further information. Since it’s coming out of Huawei sub-brand Honor, there’s a chance that Huawei phones, past and future, could get the new technology too. Give us your early thoughts on GPU Turbo in the comments below.